This is what Leo’s 2019 yearly Horoscope will look like, after last year’s eclipses that imbued new kind of strength. You will have had little choice but to ride those wave after wave of changes, or you simply had to pull yourself up by your own bootstraps because you realised that if you didn’t then nobody else was going to do it for you. You’ll be reminded of this on the 21st of January 2019 when there’s one final (for now) eclipse in your sign, and this is a time of resolution for you. Whatever the scenario, we bet that it felt great to be able to exert your independence. Leo yearly Horoscope predicts that 2019 is a wee bit different in that you’re going to have to work in concert with others and this applies to all aspects of your life. The key word here is ‘work’, because this is going to be a wonderful time for getting the job done and improving your efficiency, as well as for getting a brand new job or a more meaningful job whereby you’re helping others in some way and also helping yourself at a kind of ‘soul’ level. Now, all those lovely lions on the Serengeti get a bad rep for being the lazy bones of the jungle and for snoozing in the shade of a tree for most for the day, but lionesses are the ones that actually do most of the hunting (and the cleaning and the cooking no doubt to keep the lion’s den sparkling like a new pin!). We’re sure that this rings a few bells, eh Leo! Just look at how hard Leo, Madonna, works! And this year’s eclipses will be oiling the wheels of your industry at home as well as at work, so just be aware of other people not pulling their weight, that’s all we’ll say. This is also the year when you might get fit, and this could be the best way to get your other half to shift off the couch cos they’ll get insecure about all the attention you’re getting. Sad, but that’s human nature for you! As well as providing you with the grit to get a better job or to introduce or re-introduce a healthier way of living – and loving, but we’ll come to that part later –you’re also going to be considering life from more of spiritual perspective and perhaps doing less keeping up with the Joneses or being impressed by flash harrys. If you’re looking for a new job then it could very well be in either the charity sector or in one of the caring professions. Finally, Jupiter at home in fellow fire sign, Sagittarius, is like the giant pole that keeps the circus tent up, and your life could feel like a bit of a circus this year. In a good way. For example, there’ll be a variety of different people and influences - including a few clowns - for you to absorb, and some of these will merely be passing through while others will decide to stick around, plus a lot of juggling on your part. There’s also something of the showboat in you when Jupiter’s in this part of the horoscope, which, incidentally, is the part your sign rules. This all points toward you feeling more like entertaining and also taking a few considered risks. When it comes to your love Horoscope 2019, dear Leo, Venus and Mars together in a sign, like yours in 2019 from the 28th July to August the 18th, can wonders for a person’s charisma, as they will for yours, and you might be reminded of how damned attractive you are a few more times when these planets fuse their energies. You’ll definitely go where the affection and the attention is rather than towards anybody that seems far too busy with their phone, football, or picking the fluff out of their belly button. Let’s set the scene for you. The eclipses in your part of the chart might have left you feeling like a human pincushion last year because whenever the old moon’s involved we get seriously sensitive about stuff. But this is also a wonderful thing to have happen in your love horoscope 2019 and you will have been blessed on so many levels, even though you might not have felt so at the time, and please remember that eclipse energy takes months and months to unfold. Plus eclipses also involve your ruler, the big old sun, let’s not forget, so stuff will have been closer to your heart last year. Are you a single Leo? 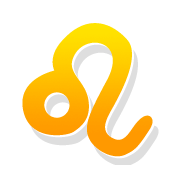 Check out Leo Single Love Horoscope 2019! Your Love Horoscope 2019 predicts this year’s eclipse influence could bring new love into your life via a work colleague, down at the gym, or a relationship is forged through hard work (like with your personal trainer!) or an everyday ordinary person suddenly becomes extraordinary in your eyes – that’s what we generally predict for you, but these eclipses in this part of your horoscope tell us that you’re looking for details and specifics, so let’s get down to some for you, lovely Leo. As far as the love planets, Venus and Mars are concerned, the fun kicks off fairly early on in the year when, around March the 2nd to be precise, love planet Venus enters your opposite sign of Aquarius, where she remains until Wednesday the 27th of March. There could be a game of cat and mouse going on around then, or this is when you fall back on the friendship that seems to be missing in a long-term relationship, or when you might start to see your partner in a more flattering light if the two of you have been going through a bad patch and you’ve been thinking unflattering thoughts about them. But the wonderful news in Leo Love Horoscope 2019, like we said at the top, is that Venus and Mars will both be in your sign in late July the first few weeks of August and what a fabulous extra birthday gift this is for you! They won’t exactly be conjunct and this means that there could be a near miss in your love life too of you’re single, but all this might mean is that you’re being made to wait for destiny to decree when’s the right time, and as any good Leo knows, patience brings its own reward. We also hope that all you Leos in a relationship a. have a partner that remembers your birthday this year and buys you the best gift they’ve bought you in aeons and that blows the gifts your friends’ partners get them right out of the water. Yup, you need to feel very special this birthday and to feel appreciated, so why not start dropping those hints right now!